Passionate about the Gospel, Pastor Pam loves to preach, teach and engage in ministry in many ways. . She loves to collaborate with volunteers, staff and colleagues to share God’s Good News in ordinary and extraordinary ways. She is excited about the collaborative ministry of working with seven other ELCA congregations through Wildfire Ministries. In addition, she serves as a Police Chaplain for the Robbinsdale, Crystal and New Hope communities. Pastor Pam graduated from St. Olaf college in Northfield and Luther Seminary in St. Paul. She loves to learn and to help others learn. 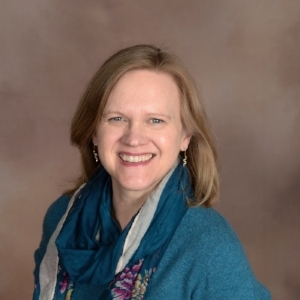 She has walked with seminary students through the Candidacy program of the Minneapolis Area Synod and continues to help prepare students for public ministry by supervising pastoral interns. 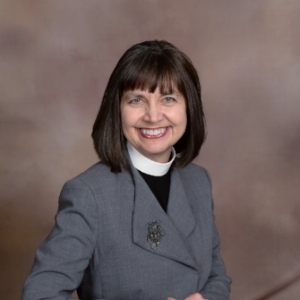 In addition, Pastor Pam serves as the Dean of the NW Hennepin Conference and as the chair of the deans of the Minneapolis Area Synod. When not preaching, teaching or leading ministry, Pastor Pam loves backpacking in the wilderness with her family, exploring other countries and cultures and also taking a walk in her neighborhood. She also loves to snuggle up with good book by the fire, go out to the theater and spend time with friends and family. Vicar Becca is the intern pastor at Faith-Lilac Way until June 2020. She is completing her Master of Divinity degree at Luther Seminary in St. Paul, MN. Becca is passionate about discovering God in everyday places. She enjoys discussing scripture and theology in an inviting and approachable way. Becca is particularly interested in speaking about mental health and ministry; ways in which the church can be better at caring for the whole person in times of crisis and wellness. Becca grew up in New Brighton, MN. She attended Irondale High School and participated in many sports and activities. She attended college at Pacific Lutheran University in Tacoma, WA where she studied history, Norwegian, and religion. Becca graduated from PLU in 2011 and moved back home to Minnesota. Becca met her future husband randomly at a Twins game, so baseball has a special place in her heart. She also roots for the Minnesota Vikings, Golden Gophers, and Wild with perpetual optimism that "next season is going to be better." Becca and her husband Eric have two young boys, Leif & Lazarus. They are full of life and lots of energy. As a family, we like to spend time outdoors--biking, camping, and spending time at the cabin. In her free time, Becca enjoys crafting, singing, bargain hunting (at garage sales and thrift stores), and watching Wheel of Fortune. Deacon Kirsten has been a rostered ELCA Minister of Word & Service since 2009, but officially began serving in churches as program staff in 2001. She obtained her Bachelor’s and Master of Science degrees from St. Cloud State University and worked as a speech-language pathologist for 15 years before completing her Master of Arts in Congregational Mission and Leadership at Luther Seminary in 2008. She served previously at Mount Olivet of Plymouth and currently also serves at First Lutheran of Crystal. She and her husband, KC Kessel, have two grown sons, Leif and Elliot. They live in Plymouth. Katie Lintelmann has worked at Faith-Lilac Way since June 2018. She graduated in 2017 from Bethel University with a Bachelor of Arts in Marketing and International Business. She also acquired a minor in Spanish during time abroad in Spain, Fall of 2016. She has always been interested in designing from a young age and is excited to be putting her studies in action at Faith-Lilac Way. She also likes to draw and get outdoors when she can (even during the frigid Minnesota winter)! If you have any office inquiries, are looking for general church information, or would like to host an event at Faith-Lilac Way, or want to put an announcement out for our community, please email Katie at office@faithlilacway.org or call her at 763.537.4523. Ann Marie Skoglund-Anderson has been the Organist/Accompanist at Faith-Lilac Way since October 2014. She loves this community’s commitment to service and worship. Her first piano teacher was her grandma and she instilled in her not just the foundation for a lifetime of learning keyboard skills but also, a love for music ministry in the church. Ann Marie’s grandma was an organist, accompanist, vocalist and choir director for many years at her church in Chicago, IL and did it with great skill and joy and with a love for people and Jesus. She is Ann Marie’s role model. Being a part of leading worship and using music to bring glory and honor to God is a great joy in Ann Marie’s life. She grew up in Japan and in Chicago, and after a brief time in Wisconsin and Florida has made her home in the beautiful state of Minnesota. Her husband, Lane and her enjoy playing piano duets together and spending time with their three children. Two of those three are in college so their nest is starting to feel a little emptier. She also enjoys good books, beautiful yarn and a great cup of coffee. Ann Nowak is the Wedding Coordinator and Financial Volunteer. As the Wedding Coordinator, Ann assists with advance planning of the wedding ceremony, conducting the wedding rehearsal, and coordinating/overseeing the activities of the wedding day to provide meaningful and pleasant experiences for all who come to be married at our church. As a Financial Volunteer, she documents all monetary contributions and provides quarterly and annual statements for our parishioners. She is a lifelong member of FLW and love’s FLW. She enjoys singing in the Chancel Choir and volunteering wherever she’s needed. Outside of church, she loves spending time with her 9 grandchildren and camping. You can reach her at 763-569-0912 – home number. amontecar@yahoo.com – personal email address. Lisa Jordan A biography is on it’s way… Stay tuned! Anne Ng A biography is on it’s way… Stay tuned! Nancy Goodwin A biography is on it’s way… Stay tuned!